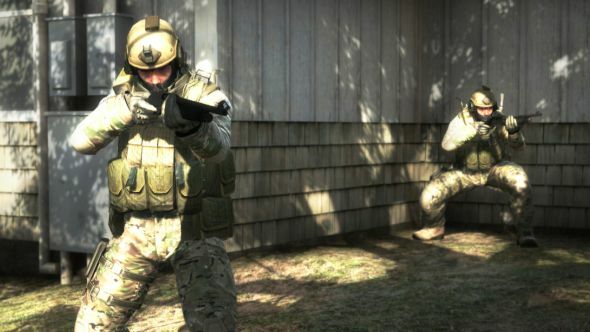 Since its release, the Counter-Strike series has stuck to its winning formula and remains a staple of PC gaming. But its creator, Minh ‘Gooseman’ Le, had plenty of ideas to shake things up that were never implemented for fear of fans’ reaction, one of which was weapon price inflation. In an interview with PC Games Insider, Minh says that the game reached a point where its popularity meant that the development team were too afraid to make changes to the online shooter’s weapon economy. “We made it so that the more a certain gun was bought, the more the price would go up, sort of like inflation. I thought that was a cool system, that it’d be great because it’d make these guns that were constantly purchased harder to be acquired. While it’s difficult to tell whether weapon inflation would have had a long-lasting impact on the dynamic of the series, it could have prompted more varied weapon loadouts and added complexity to the competitive strategy. Inflation could also have encouraged players to think carefully about buying tactics to ensure they remain competitive in later rounds. These changes were scrapped because of the game’s popularity, making Valve “anxious” to evolve the series. As a result, Minh says that Counter-Strike: Global Offensive is very similar to the original, with the same buying system and the same prices. “In a way, it’s become the FIFA series where each iteration is really just a slight overhaul,” he says. That said, Counter-Strike remains at the top of the esports scene despite the lack of economy innovation. If the developers persisted with these changes, the online shooter might have turned out very different to today.